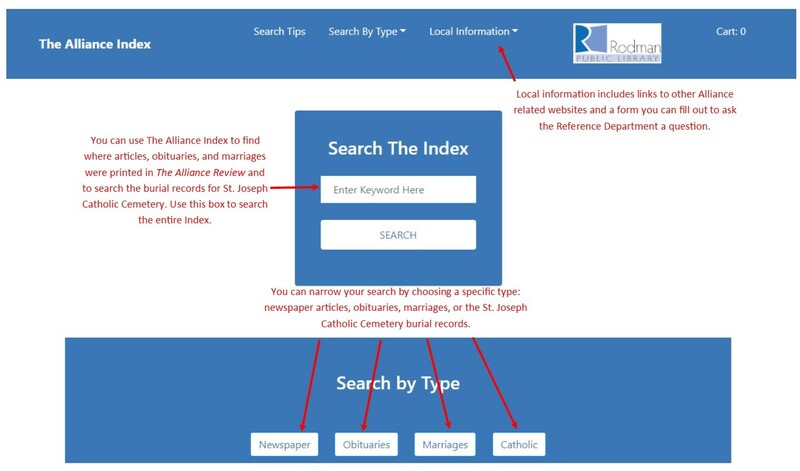 You can use The Alliance Index to find where articles, obituaries, and marriage notices were printed in The Alliance Review and to search the burial records for St. Joseph Catholic Cemetery. Use the “Search The Index” box to search the entire Index. You can narrow your search by choosing a specific type: newspaper articles, obituaries, marriages, or the St. Joseph Catholic Cemetery burial records. The Local Information menu includes links to other Alliance related-websites. If you need to contact the Rodman Library Reference Department, a form is available for you to fill out on the Help menu to send a question to the Reference Department. If you use the keyword search, the results page will look like this. 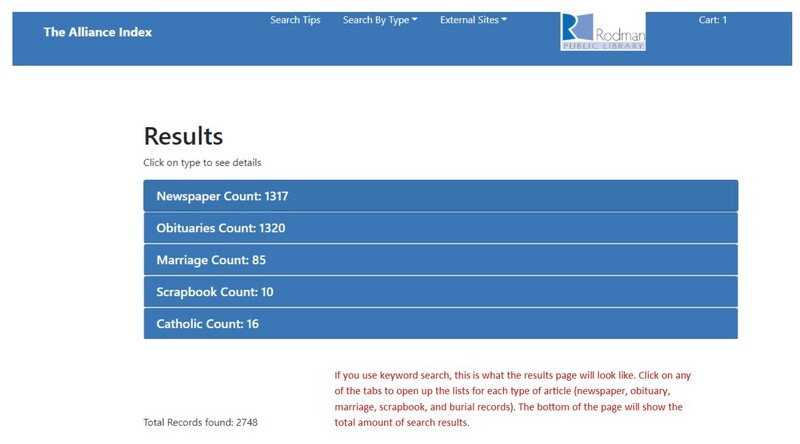 Click on any of the tabs to open up the lists for each type of article (Newspaper, Obituary, Marriage, Scrapbook, and Catholic Burial records). The bottom of the page will show the total number of search results.